If you enjoyed The Name Jar, click here to check out Chrysanthemum! Click here (for younger students), or here (for older students) to view resources and activities for The Name Jar. When Unhei and her family moved from Korea to America, her grandmother gave her a hand carved name stamp to remember her and her homeland by. On the first day at her new school, Unhei felt insecure about her name, and because some students teased her, Unhei decided that she wanted an American name. Day after day, students in her class helped her choose a name by placing suggestions in a name jar. However, none of these felt right to Unhei. With the help of a friend and a familiar face in the community, Unhei comes to realize that her name is special, and that she does not have to change it to fit in. Her name is different, and different is great! This book would be a great vehicle to teach self-love and knowledge to students. Names (and the naming process) hold more weight than people often realize; names identify who someone is as a person, and can be an indicator about their family heritage and history. By reading this book, and engaging in a meaningful follow-up activity, teachers would not only be giving students the opportunity to embrace their name and heritage, but ultimately themselves as whole people. Although this book is written for K-3 readers, the activity would be aimed at the grades 2-3 portion of the grade level. However, it could easily be tailored for the younger students. This would be a great activity for the first week of school to help students get to know each other! 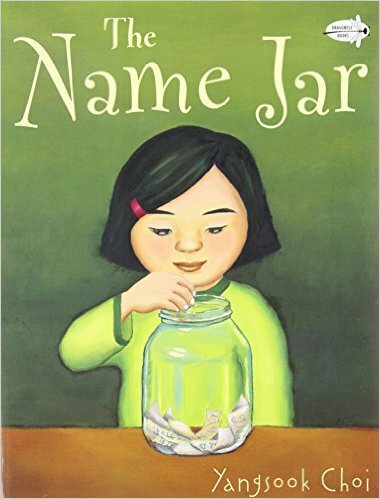 After reading this book to the class, I would give students the opportunity to explore their own names through self-reflection and interviewing. To do this, students could think about what they like/dislike about their names, and what their name means to them. Students can dive deeper by interviewing their parents/guardians about their names. Using this information, students could create an acrostic poem that they feel defines them, using the letters of their name. To conclude the activity, students could share with the class something that they learned about their name. They could also tell the class if they would like to be called something else (i.e. nickname), and if that name has a special meaning to them. Another great activity, explained in the resource for younger students above, allows students to create and make name stamps (similar to the name stamp Unhei receives in the book) that symbolize what their names mean to them. These can be displayed throughout the classroom.